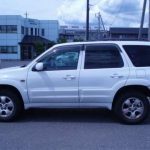 Welcome to Zimba Car Hire, registered as Zimbabwe Car Hire & Travel Pvt Ltd. Our popular car rental plan start at only $55/day loaded with 100 km/day. Longer rental periods attract discounts! Welcome to Zimba Car Hire, an up coming Zimbabwe car rental company. Compare car rental plans on offer, popular car rental plan start at only $55/day loaded with generous mileage. 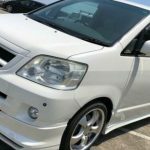 Call +263772021288, email or book your car rental in Zimbabwe Harare. Caution, car rental for longer periods attract discounts! Now you can book online. Booking fee can also be paid via PayPal, choose PayPal on checkout and you can use your credit/debit card if you do not have a PayPal account. Displayed above and below are photos of the rental car fleet we offer in Harare. Cars and particular car type are subject to availability. Specifications are given as a general guide only and these are subject to change without notice. 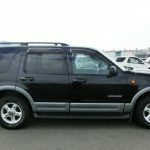 Currently we have SUVs comprising of Honda CR-Vs, Nissan X-Trails and Mazda Tribute, Ford Explorers, Toyota Land Cruisers, Nissan Hard Body double cab, Toyota Hilux double cab, these vehicles are good for both town and country roads. Zimba Car Hire has the rental cars to make your next holiday in Zimbabwe a memorable one. Start browsing our featured cars to find out more, and discover the most suitable car for you. What you see is what you drive. At Zimba Car Hire car rental prices fall into two major categories; unlimited mileage per day and limited or capped mileage. Depending on your personal traveling arrangements and expected expenditure on car rental in Zimbabwe, it may be a challenge to pick the best plan. For example if you are planning to visit places like Victoria Falls, Hwange National park, Matopos, Zimbabwe Ruins and Nyanga then the unlimited plan may be the best value for money. The 300 km/day capped plan is very popular with our clients. When you book your next reservation ask for the 300 km/day plan. Who use Zimba Car Hire? Pretty much anyone and from anywhere in the world can use Zimba Car Hire rental vehicles. 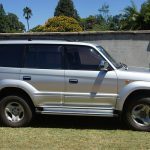 Top Zimba Car Hire users are from UK, USA, Canada, Australia and South Africa. Also local Zimbabwe businesses prefer to use Zimba Car Hire service. For a successful and memorable trip to Zimbabwe you need a car rental service comparable to Zimba Car Hire first, its worth it. Make Zimba Car Hire be your next Zimbabwe car rental service. With Zimba Car Hire, you go much further. Get your own Zimbabwe car today. People are talking about Zimba Car Hire on Trip Advisor.